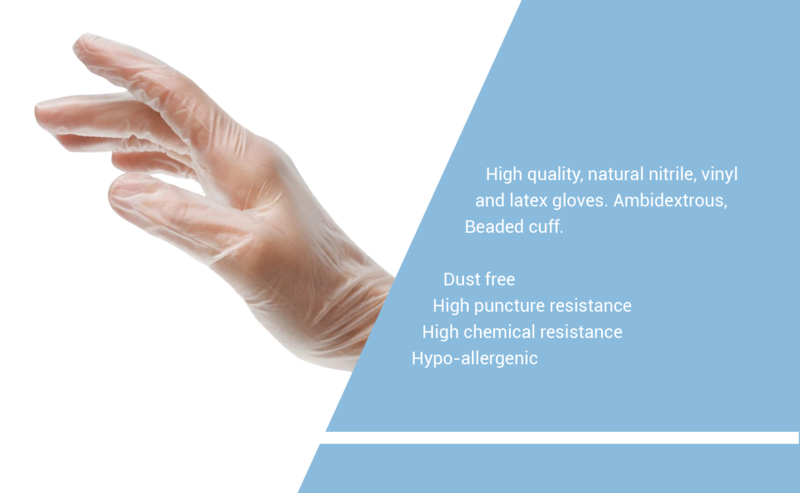 High quality, natural nitrile, vinyl and latex gloves. TYPE: Non sterile, powder free. STORAGE: Gloves should be stored in a dry ventilated area not to exceed 100 � F (37 � C).